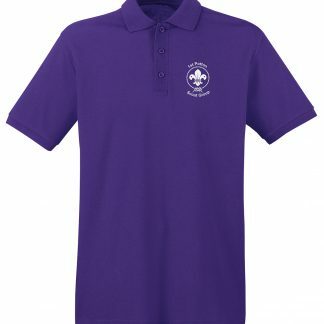 Blue t-shirt for 1st Wixam Scout Group. 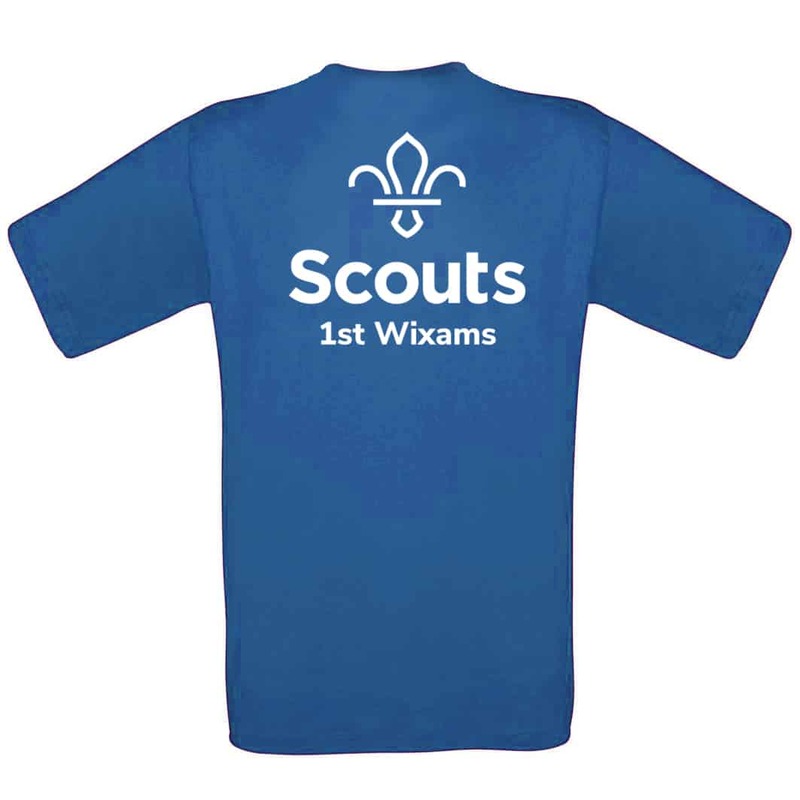 Printed in white with a large 1st Wixams logo on the back and smaller on the left breast area. 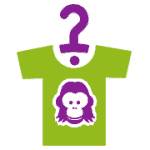 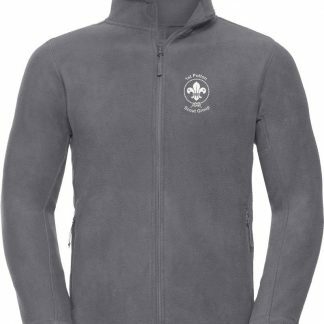 Can be personalised under the breast logo with the name of the scout.